Have you recently applied for a PAN card? Know your PAN card status in few seconds. The post gives you options of tracking status of PAN applied through NSDL as well UTI. An online status check of the applied permanent account number is a simple process. Follow the instructions shared here and learn how to do it. The plastic card document is one of the most significant governmental identity documents. The document is compulsory for the tax payers. It is a powerful tool for IT Department to track the financial transactions. Lakhs of people are applying for a new PAN card or for correction in PAN card. 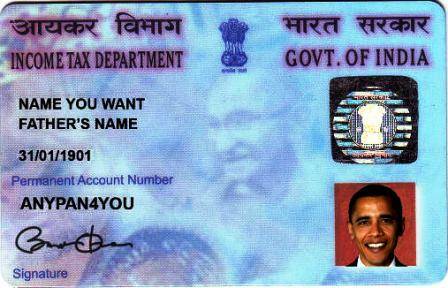 Once you apply for the PAN card, an acknowledgment number is issued. It is much easier to track PAN card status using the acknowledgment number. However, if you have lost your acknowledgment number, you can still know it by retrieving the number online. If you are an EPF member, you can check PF status on our blog. Visit the UTI Pan card application tracking page. Enter the application coupon number in the first field. Coupon number is the acknowledgment number issued against your application for permanent account number. If you have applied for a duplicate PAN or for a correction in PAN card, enter the PAN card number itself. Click on the ‘Submit’ button to view the current PAN card status. Make sure that you track the PAN application status only after a week from the date of application. Enter the acknowledgment receipt number if you have. If you do not have the receipt number, just fill in your name by selecting the second option. Also, enter your date of birth in the case of the second option of tracking status By Name. ‘Submit’ the details to view the PAN application status of your application. The status messages will clearly indicate how far your application is processed. Besides, NSDL and UTI, there are other authorized service providers like e-Mudhra and Samanta. Visit the official websites of e-Mudhra and Samanta to know the application process of the permanent account number. If you want to check your UAN status then it is also available at our blog. SMS Service – Send your acknowledgment number of NSDL PAN application to 57575. You will be responded with the current position of your application. Phone Call – Call NSDL on 020 2721 8080 to and inform them the acknowledgment number. Do wait for minimum 5-7 days after the application to track the PAN card status. The status message will also show if any additional document is required. It will also show if your application or any proof document is having any discrepancy. You can immediately process the required action to avoid the delay. Since now most of the citizens know the significance of the permanent account number, we are glad to provide them with essential information on this document. Stay with us to know the status of other governmental ID documents. Epfbalancestatus.co.in is a portal dedicated to provide all information on provident fund balance. It is also guiding citizens to get the benefit of the online services related to passport, PAN, and aadhar card.